I love not only the taste of a delicious tea but the whole ritual! In this crazy world there is nothing better than to brew some tea, wait while it steeps, and then pour it from a pretty teapot into a pretty cup! and of course you should do this while relaxing in your beautiful home! I know you think you don’t have the time. Well, I say make the time – you will be the better for it. Sip it slowly and enjoy the whole ritual. I admit it took me a while to get the hang of it but now I look forward every morning and evening to my private little ritual that relaxes me and helps me to remember what life is really all about. I did a lot of research on Tea as I was looking for a new line to sell in my shop…and what I found is outstanding! Sloane Fine Tea Merchants. It wasn’t easy as they are in Toronto and I am now actually their first customer in New Jersey. It’s a little tougher to import product…I haven’t done a lot of that in my shop – but if you give it a try you will agree – it is worth it! “The tea in your cup is a result of a delicious journey. At Sloane Tea Company we traverse the world in search of only the finest teas that would delight even the most discerning of palates. The tea is absolutely delicious! My favorite right out of the gate was the Heavenly Crème – I am already addicted to it. It really is heavenly. And then I enjoyed it so much I already ran out!!!! So I decided to try the Jasmine Pink Lemonade and I have to say I love it also and for me that is saying a lot. As a general rule before sipping this tea I would have said “No Thanks…I just don’t like green teas” but I was wrong – this one is delicious! It’s blended white and green tea and one of Sloane’s “Signature” blends. It has the sweetness of fresh jasmine and an unforgettable pink grapefruit finish…and it is superb as an iced tea also! I have been drinking it both hot and cold and look forward to it almost as much as the Heavenly Cream….you simply must try these teas! 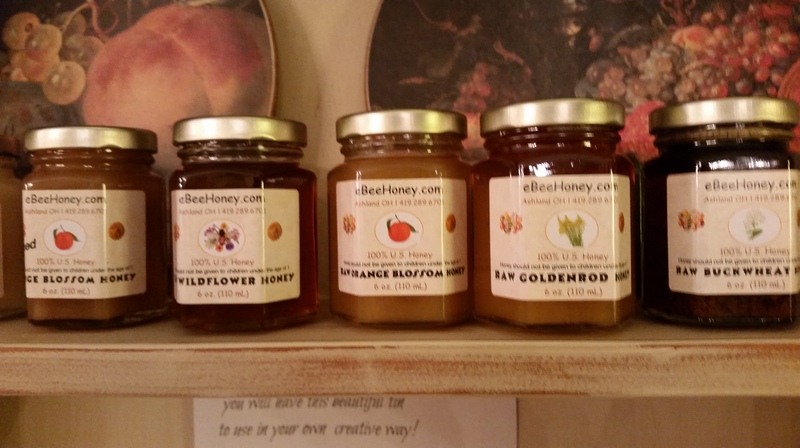 Star Thistle, Orange Blossom, Wildflower, Bamboo, Buckwheat, and Clover….all Raw and delicious! And there will be more…. At The Whistling Elk you will find not only home furnishings and accessories but also lots of other products to enhance the way you live your life! 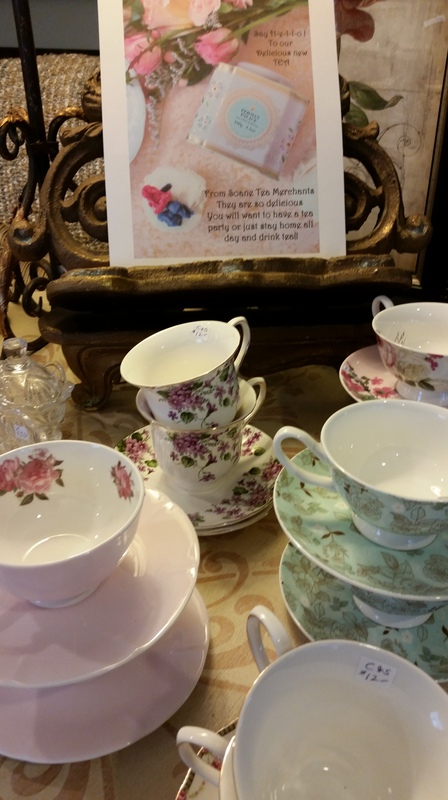 We believe your home should be your sanctuary…that is one reason why I love our Tea products! They will be in good company with our other home products like our Lampe Berger! Come in an see what is new! It’s our 25th anniversary this year! and we are celebrating! This entry was posted in DIY, Furniture, gifts, Home, Paint, Uncategorized and tagged Chester NJ, color, decor, design, diy, do it yourself, home, home decor, honey, honey for tea, inspiration, interior design, paint, Paint Couture!™, painted furniture, raw honey, Sloane Fine Tea Merchants, Sloane Teas, tea, teacups, The Whistling Elk. Bookmark the permalink. I’m looking to buy the delicious teabags I used on the ViaRail transCanada train ride I took in July, Rouge Provence, a rooibos tea. Can you advise? 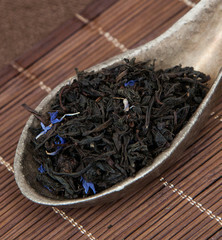 Hi i sell the rouge provence so i can ship you if you like….its loose tea though.. is that ok?